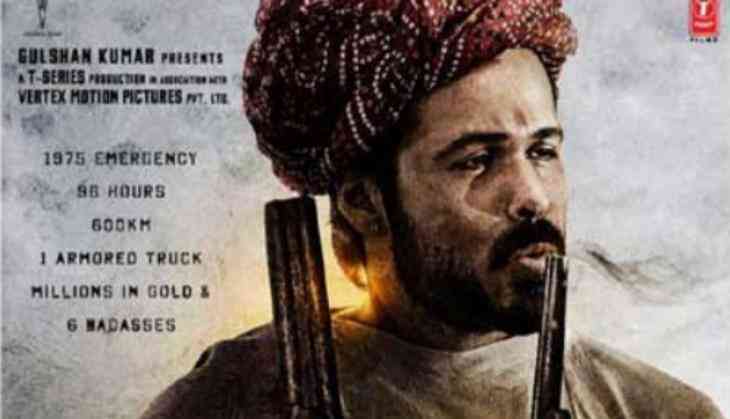 While Ajay Devgn is 'the badass in the bandana', Emraan Hashmi is 'the guns and roses badass' from 'Baadshaho'. The makers of the film today shared an interesting poster featuring the ' Azhar' star. The official Twitter handle captioned the poster as, "Presenting @emraanhashmi, the guns and roses badass from #Baadshaho! Badass Baadshaho EmraanHashmi"
Presenting @emraanhashmi, the guns and roses badass from #Baadshaho! Donning a turban, the 38-year-old is seen holding a gun in his hand. The Milan Luthria-directorial also stars Ajay Devgn, Esha Gupta and Ileana D'cruz in the lead roles. Produced by Bhushan Kumar and Krishan Kumar, the flick is set to hit the screens on September 1.